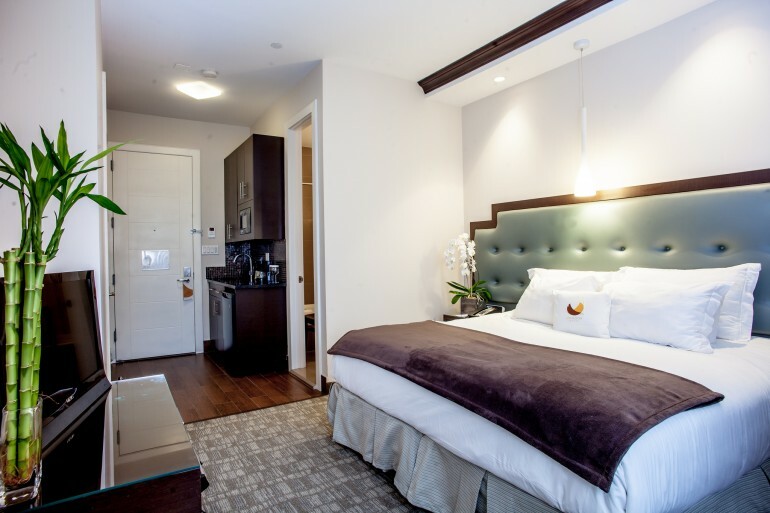 For comfort, convenience, and affordability in Brooklyn boutique hotels, the Condor is unmatched. 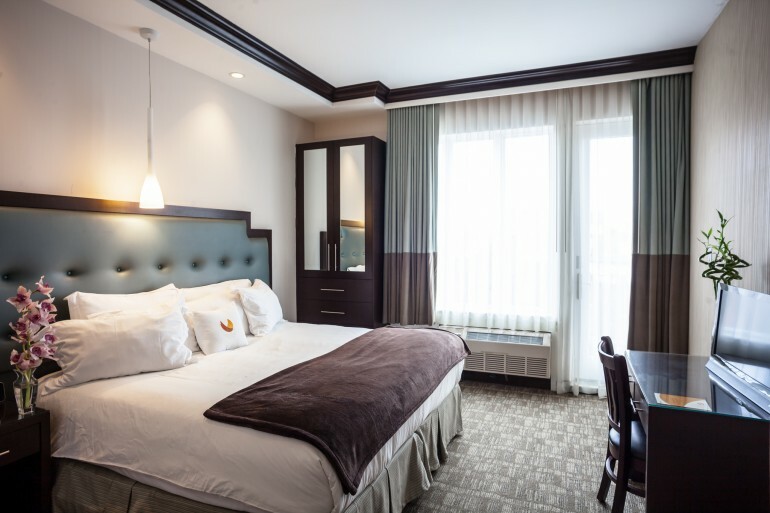 We know you choose a hotel stay that offers the chance to relax, unwind, and rejuvenate, in an environment you wish to return to at day’s end. 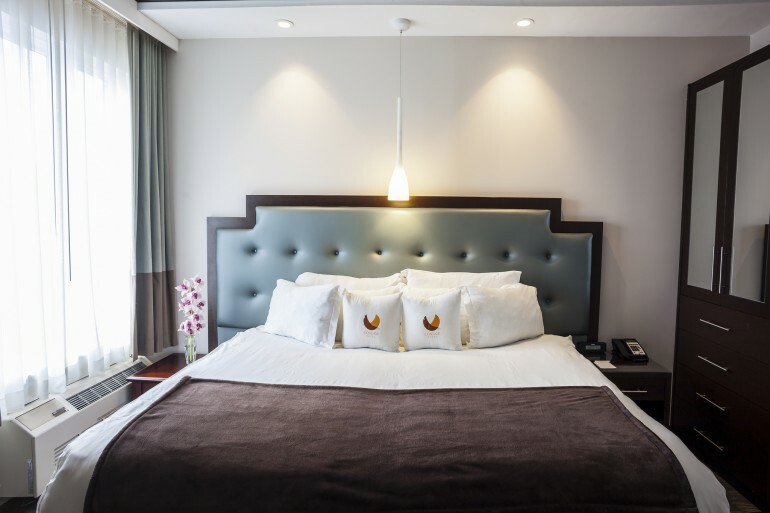 Rest assured that at The Condor, you’ll find the facilities and service not found in other Brooklyn boutique hotels. 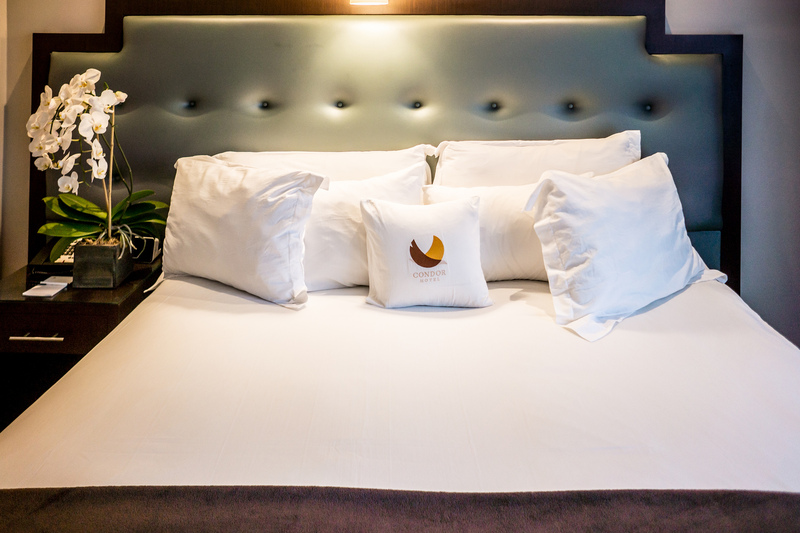 Our signature Condor “PlushDreams” bed features luxury bedding and a selection of pillows to provide your own comfort level. Luxurious bathrooms offer deep soaking tubs, rainshower massaging showerheads and refreshing, ecologically friendly bath amenities. Guests do appreciate the individual kitchenette, featuring ample cabinet space, microwave, stainless steel sink, and a refrigerator conveniently placed beneath the granite countertop. You may not wish to leave your room—your pied-a-terre. But do enjoy our posh living room and beautifully manicured garden. Perfect for romantic escapes, family vacations, or corporate visits, The Condor sets the stage for a rewarding and memorable stay. This Plush Room features two signature Condor Plush Dreams oversized twin beds, a full five inches wider than a standard twin bed. Spacious kitchenette with microwave, stainless steel sink, and under-counter refrigerator. 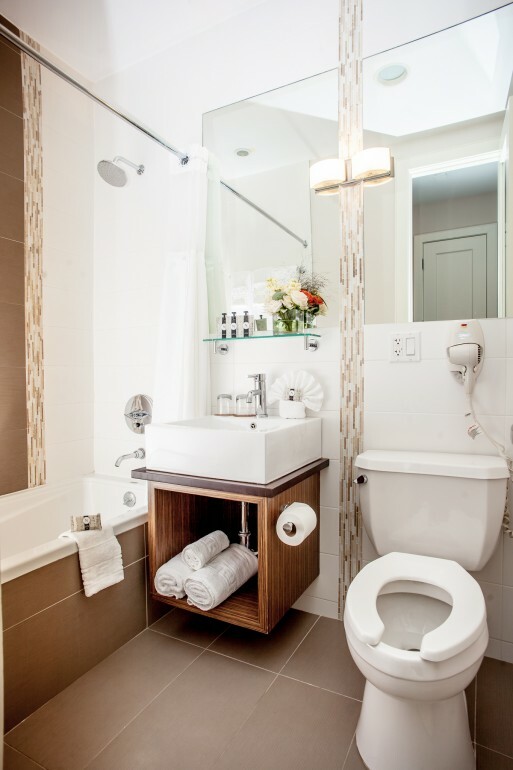 The bathroom features a stylish basin sink and a shower/tub combination with a rainshower massage showerhead, and ecologically friendly bath amenities. The flat-screen TV comes with a wide range of cable channels. An in-room electronic safe secures your valuables. 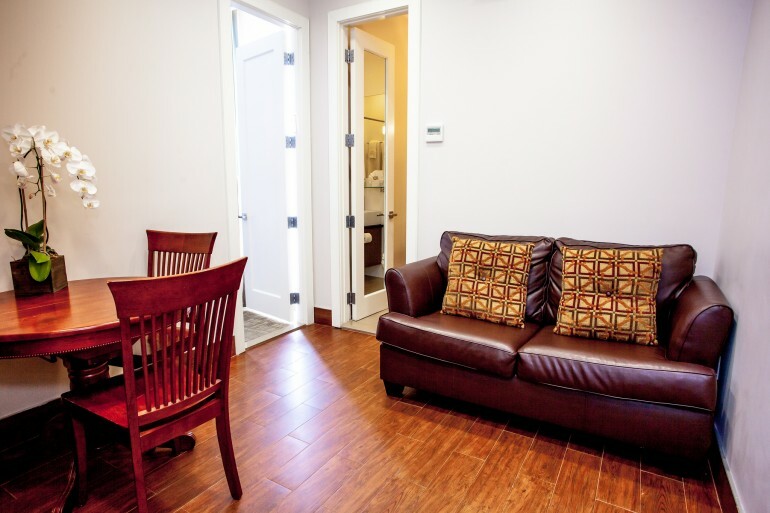 Complimentary wireless internet is available throughout our Brooklyn accommodations. 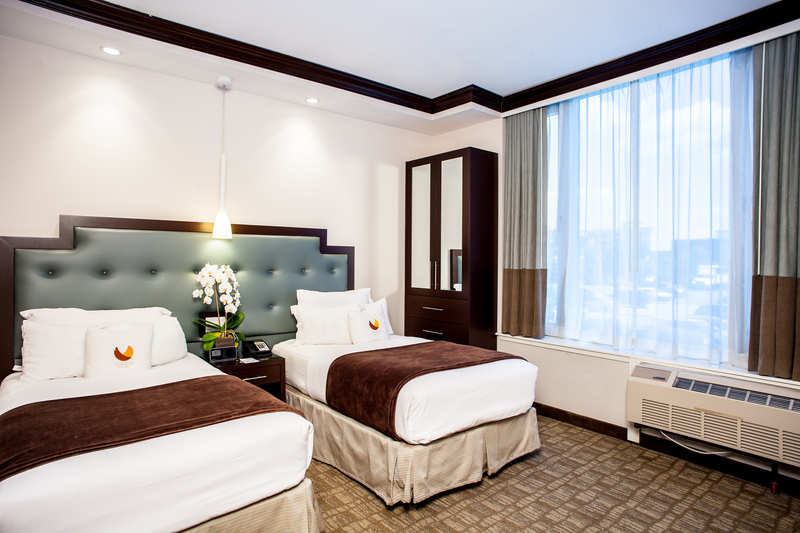 All accommodations are smoke-free at the Condor Hotel Williamsburg Brooklyn. 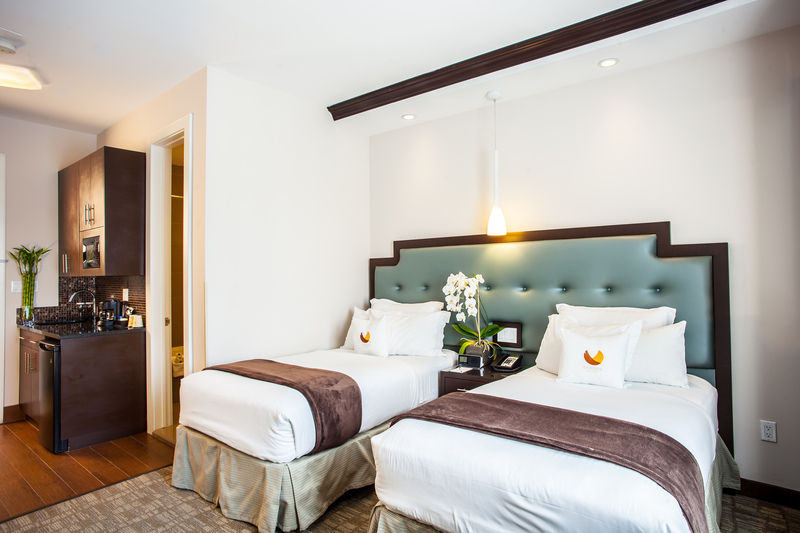 This Plush King Room features one signature Condor Plush Dreams oversized King bed. 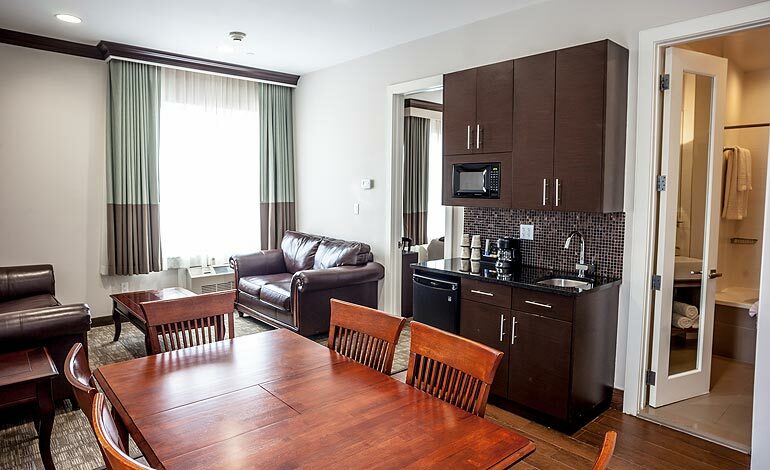 Spacious kitchenette with microwave, stainless steel sink, and under counter refrigerator. 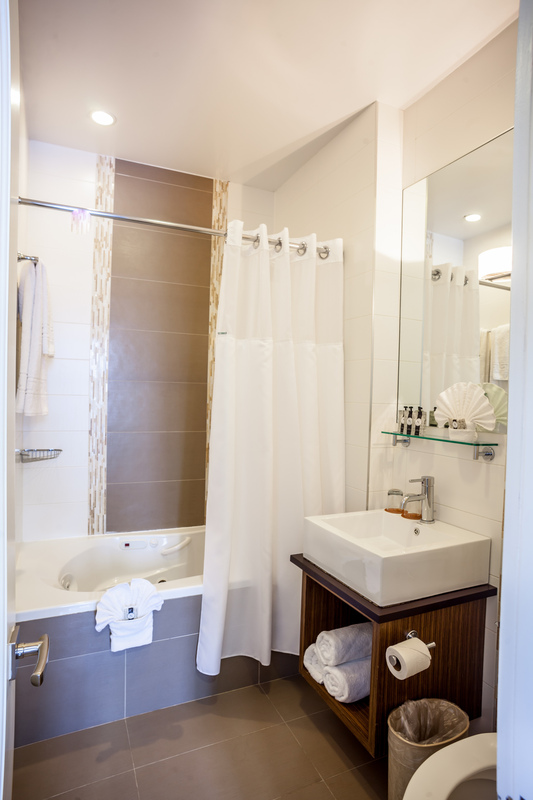 The bathroom features a stylish basin sink and a shower/tub combination with a rainshower massage showerhead, and ecologically friendly bath amenities. The flat-screen TV comes with a wide range of cable channels. An in-room electronic safe secures your valuables. 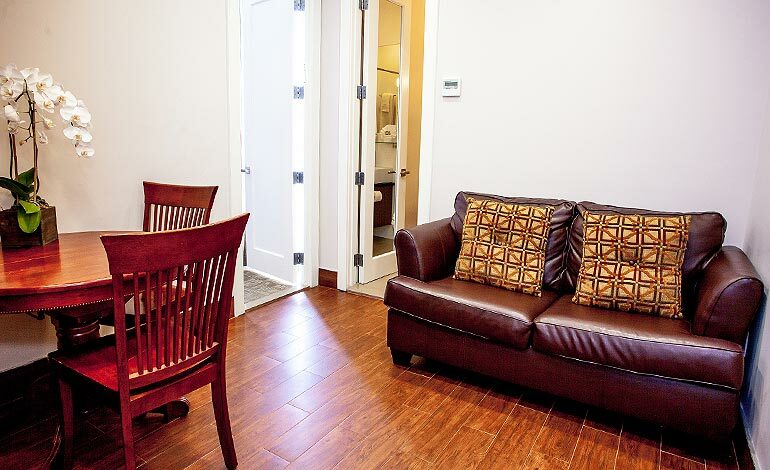 Complimentary wireless internet is available throughout our Brooklyn accommodations. 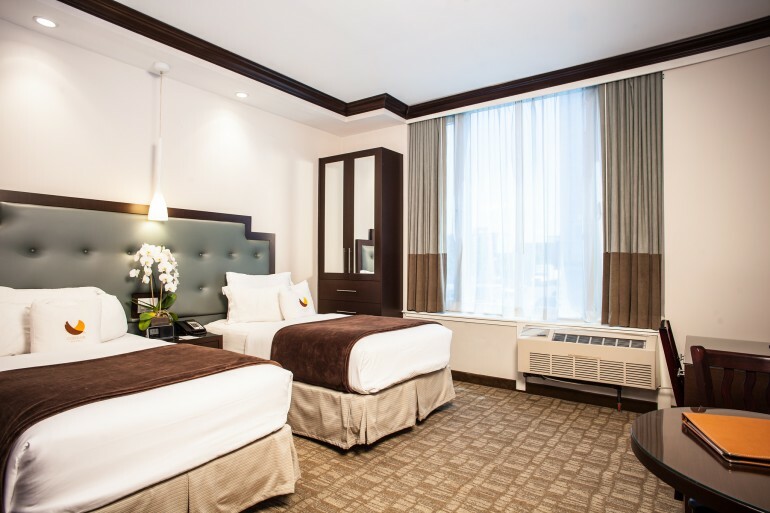 All accommodations are smoke-free at the Condor Hotel Williamsburg Brooklyn. This quieter, more private, spacious corner room features two signature Condor Plush Dreams oversized twin beds, which are a full five inches wider than a standard twin bed. Spacious kitchenette with microwave, stainless steel sink, and under counter refrigerator. A small 2 person table is provided, for dining comfort. The bathroom features a stylish basin sink and a shower/tub combination with a rainshower massage showerhead, and ecologically friendly bath amenities. The flat-screen TV comes with a wide range of cable channels. An in-room electronic safe secures your valuables. 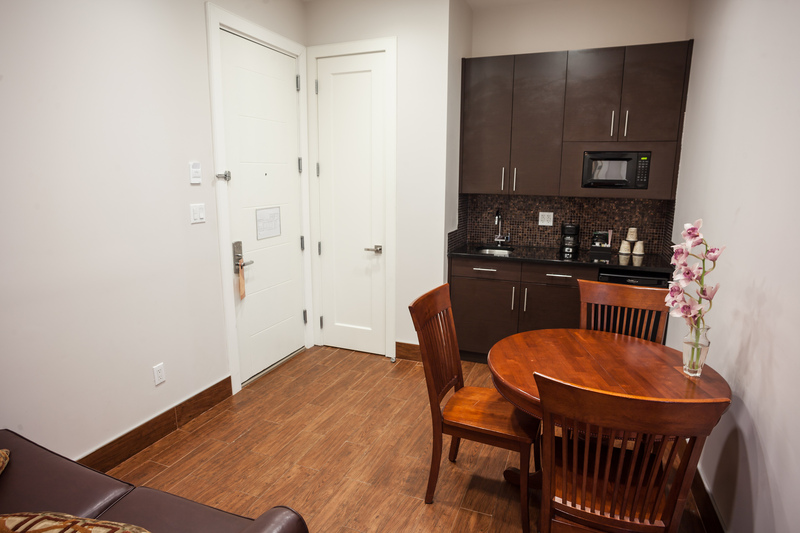 Complimentary wireless internet is available throughout our Brooklyn accommodations. 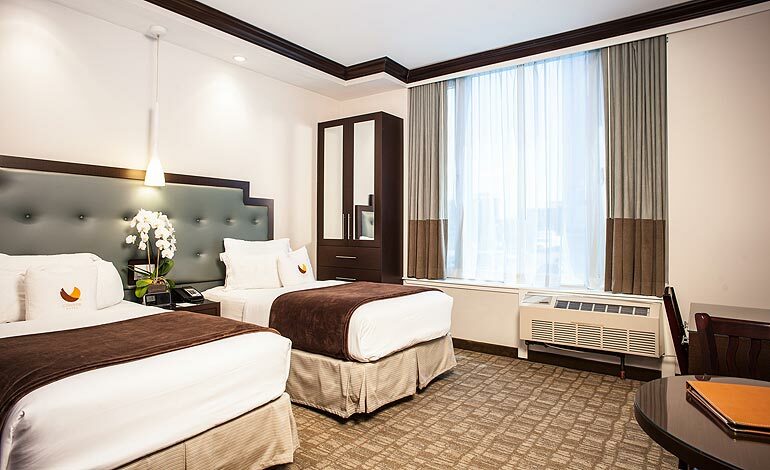 All accommodations are smoke-free at the Condor Hotel Williamsburg Brooklyn. All Corner Suites are 2nd floor and up. Our Plush Suite, located on an upper floor, features two Signature Condor Plush Dreams oversized twin beds, which are a full five inches wider than a standard twin bed. This One-bedroom corner suite offers a pull-out sofa in the living and a small dining area that will accommodate up to four. Spacious kitchenette with microwave, stainless steel sink, and under counter refrigerator. The bathroom features a stylish basin sink and a shower/tub combination. The flat-screen TV comes with a wide range of cable channels. An in-room electronic safe secures your valuables. Complimentary Wi-Fi is available for all guests. 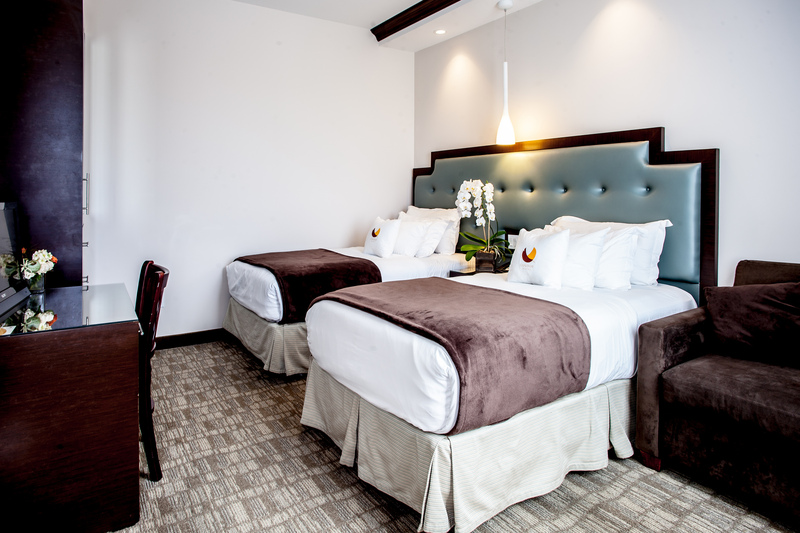 All guest rooms are smoke-free at the Condor Hotel Williamsburg Brooklyn. *Note – Our Plush Suite can be converted to a single King for stays of 21 or more days, but must be booked direct. 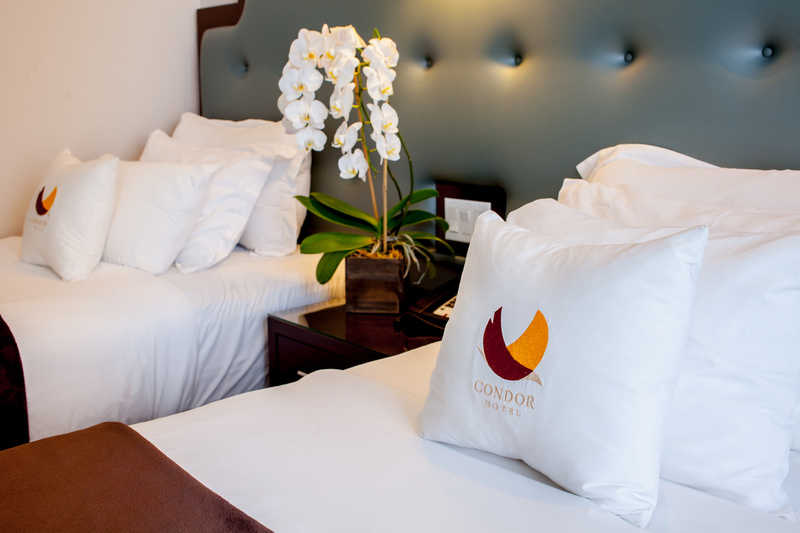 Our Luxury Suit, located on an upper floor, features a signature Condor Plush Dreams oversized King bed. This spacious one bedroom corner suite offers two sofas in the living area, one of which is a queen pull-out, and a dining area that will accommodate up to six. 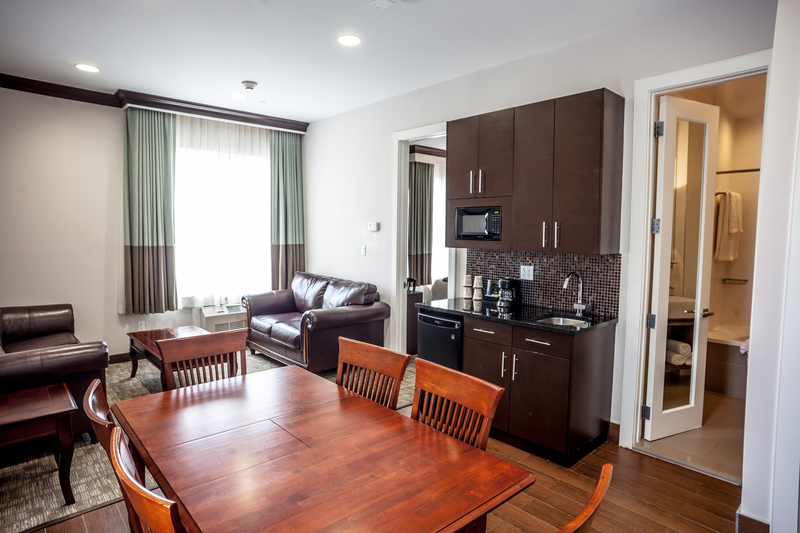 Also includes a spacious kitchenette with microwave, stainless steel sink, and a refrigerator. The bathroom features a deep-set basin sink and a shower/tub combination with a luxury rain shower massage showerhead and Jacuzzi. The flat-screen TV comes with a wide range of cable channels. An in-room electronic safe secures your valuables. 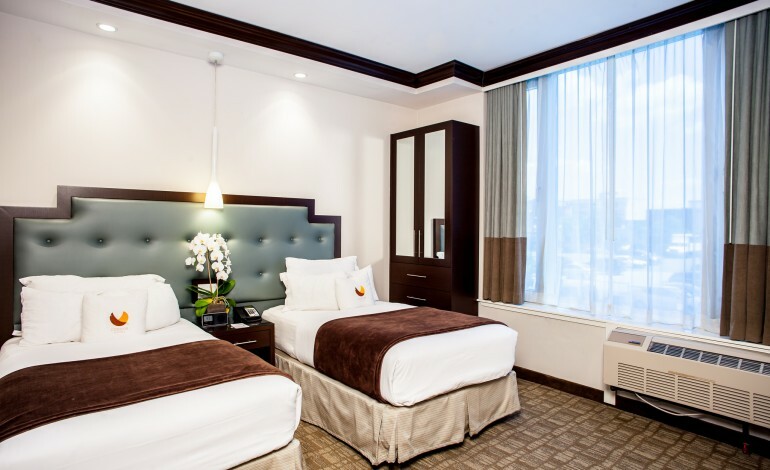 Complimentary Wi-Fi is available throughout our Brooklyn hotel. 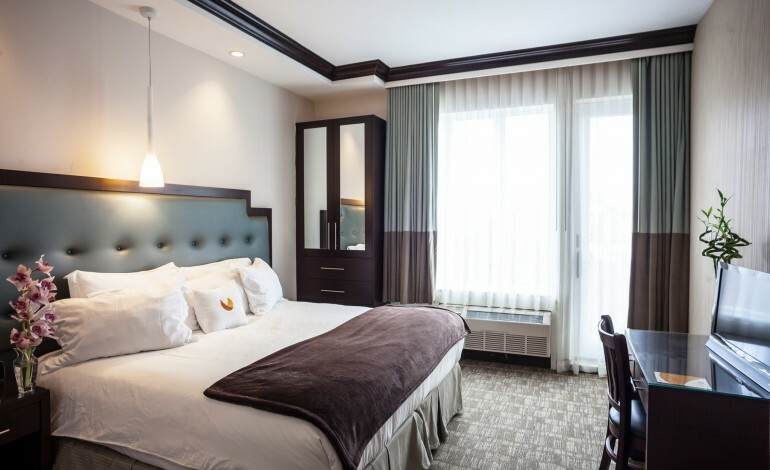 All accommodations are smoke-free at the Condor Hotel Williamsburg Brooklyn. 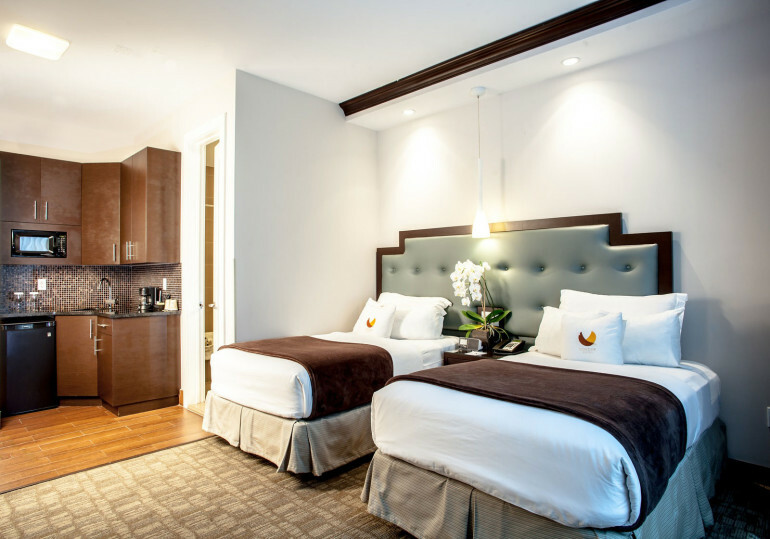 *Note – Our Luxury Suite can convert to a twin room for stays of 21 or more days, but must be booked direct.